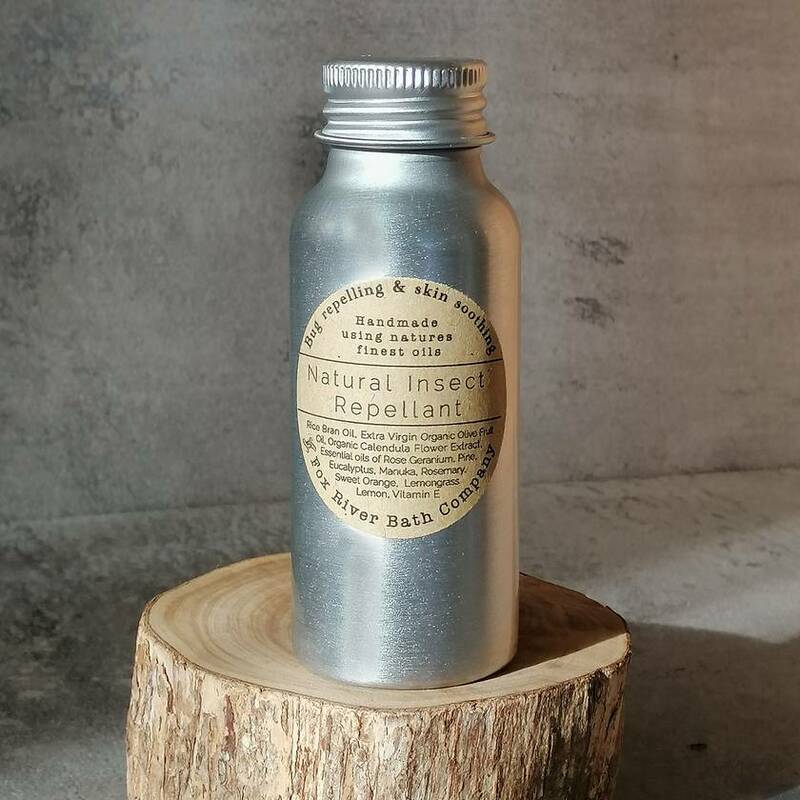 Our all natural citronella free insect repellent is a wonderful natural alternative to protect you and your family from natures biting insects. It contains a powerful mix of oils which smell quite delicious to us humans while working at its best to repel our biting friends. Ingredients- Rice Bran Oil, Organic Extra Virgin Olive fruit Oil, Organic Calendula flower extract, Essential Oils of Lavender, Eucalyptus, Lemon, Manuka, Lemongrass, Rose Geranium and Pine. This product comes 50ml aluminium bottle with a screw top closure and has a long shelf life. Here at Fox River Bath Company we believe if it is good enough to put on your body, it should be good enough to put in your body, so there are no nasty chemicals in our products at all. As this product contains no artificial preservatives or stabilisers it is best kept in a cool place.